After completing a finding of necessity and a determination of blight study to establish the Southwest Redevelopment Area, the Logan Simpson team led the development of an overall vision and redevelopment plan for the declining Fiesta District. 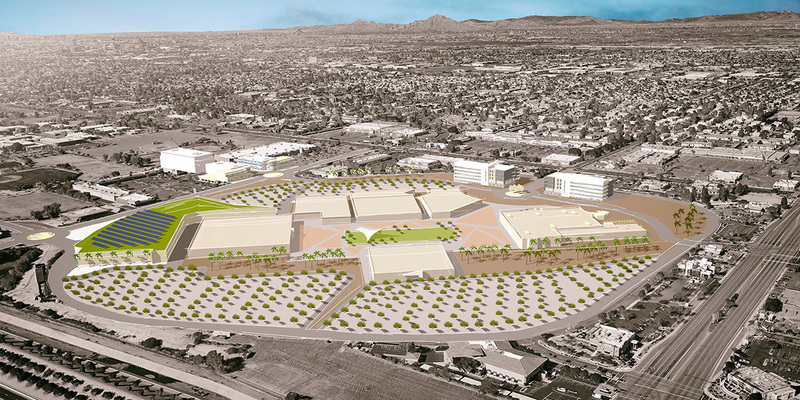 This plan will serve as the blueprint for redevelopment activities and opportunities in the area, with the primary catalyst being the re-imagination and redevelopment of an outdated and underutilized regional shopping mall into an employment center and building off adjacent activity of the Banner Hospital and Mesa Community College. The plan outlines a vision for two subareas, defining strategies, associated potential projects, order of magnitude costs, potential partnerships, and timeframes that will ultimately transform the district and adjacent corridors into a vibrant employment district. 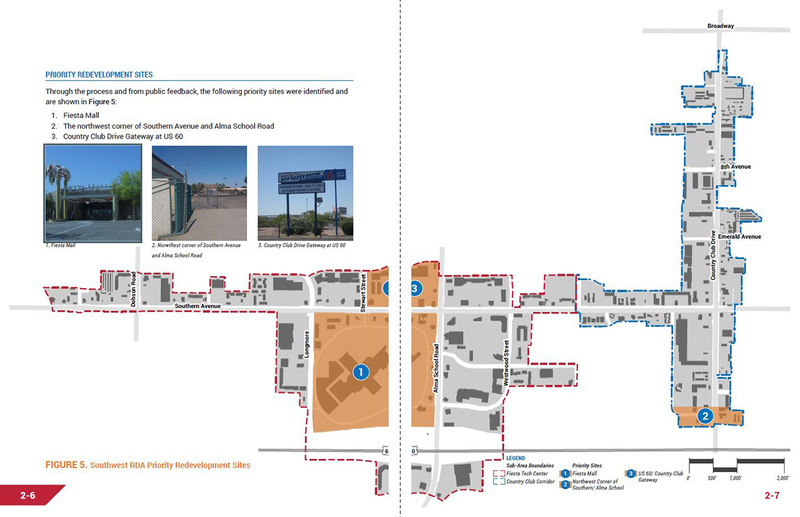 Key strategies and actions include the improvement of gateways from US 60; streetscape design, improvements, and enhanced street frontages along Country Club Boulevard; five key catalyst site design frameworks and visualizations; and enhanced access into surrounding residential neighborhood areas.